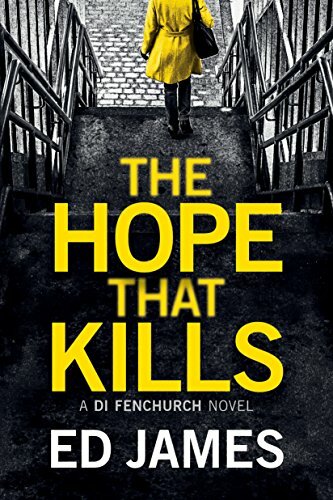 Yesterday I reviewed Ed James’s interesting first entry in his DI Fenchurch series, The Hope That Kills. I said I wasn’t sure what I thought about the series yet. But now I’ve read the second book, Worth Killing For, and I know what I think. 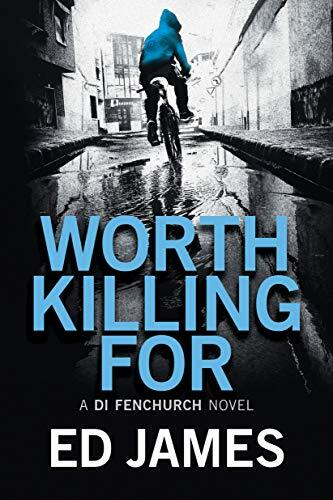 Detective Inspector Simon Fenchurch is an obsessive policeman in tough east London. His daughter Chloe was kidnapped ten years ago, and he’s been killing himself on the job, hoping that somehow he’ll find a clue about her fate. In Worth Killing For, he has kept a promise to his ex-wife. He’s given up the search for Chloe, and they’ve moved in together again. He’s honored the letter of his promise, though he can’t avoid thinking about the mystery, especially since his father, working as a volunteer on cold cases, is keeping the search up. This time out, Fenchurch and his wife are on their way to a restaurant when they see a young woman stabbed to death in the street, before their very eyes. Fenchurch pursues the suspect and finally catches him. But fingerprints on the weapon prove he got the wrong young man. The victim was a journalist, and shortly after her death, a colleague of hers is similarly murdered – again in front of Fenchurch’s eyes. There’s a conspiracy here – and it goes beyond street gangs. Very rich and powerful people are manipulating young black men in order to further big business and political schemes. And that’s where the author lost me. I finished the book, but I won’t be reading any more. What we’ve dealing with here is Girl With the Dragoon Tattoo Syndrome. The books are written from a Marxist perspective, so that all crime ultimately emanates from the dark machinations of the Evil Rich and the Evil Conservatives. A major bad guy here is a pro-Brexit politician, and the opportunity is taken to link him to Trump, who is Worse Than Hitler. I’m sure author James doesn’t want my filthy conservative money, so I won’t read any more of the Fenchurch books. I regret that I’ll never learn what happened to Chloe – we’re bound to find out eventually – but I already know that she was the victim of some vast Right Wing Conspiracy, so I can save the money on further details.